Visa Card Giveaway Blogger Opp!! This year has been nuts and busy. Its like it flew by with little time to focus on a lot of worry. This year was certainly a lot calmer than 2011. I say this because there was no big job drama, no baby on the way, no anxiety attacks, and no babysitter drama. The girls have been with Vicki since January 3rd, they are loving life. They are busy everyday with the other couple of kids that are there. We have celebrated birthdays, holidays, been there for the passing of Grandma, and connected with family again. They are learning to socialize, share, pretend play, and take care of others. Kennys schedule was nice and easy until this fall when he ventured into adjuct teaching for our community college. Life got busy and we went a lot of weeks with a little bit of time together. That job is now done and he has been home a lot more. The girls are enjoying the time and playing with him. He still has other jobs on the books but nothing as time consuming as the teaching. In February I began a career with Thirty One Gifts, this company has been amazing to work for. They really take care of their independent consultants and directors. In September I promoted to Senior Consultant. Having a little team is amazing. I love being a sponsor to these ladies. I am currently running a promotion, that if you join my team and qualify with $1000 in sales in your first 45 days I will rebate your enrollment fee. In July, the girls went to the beach for the first time. The beach wasnt exactly their favorite part, the sand and waves was too much for their little bodies. But they loved the water in the pool, we have waterbugs thats for sure. Ava was out in it everyday, they loved being spoiled all week by us and their Aunt and Uncles. It was nice having extra help, having Erika there really helped, being able to spend time with another mom and go to the bathroom while the kids are entertained and not on my lap was awesome. We dont see the beach in our near future, not until they are old enough to enjoy it, but we will absolutely be going somewhere that we can be in the water. In August Ava became Potty TRAINED!!!!! She did it all on her own time and no fighting about it. She was in pull ups over night for about 3 weeks then declared she was a big girl and didnt need them either. I am so proud of her. She still after 4 months gets excited that she goes to the potty and we still praise her every time. Also in August, we got another WALKER!!! She tried and tried forever. We really thought while we were on vacation she would be walking at 8 months but she waited until she was 9 months. So both girls became walkers at 9 months and during the summer. Hailey was so proud of herself and has been on the go since. Now she is our climber, runner, and all over the place. She loves to dance, loves music, and almost always has a smile on her face. At 14 months she is doing so much. She is saying 'momma', 'dadda', 'A' for Ava, "ice", 'ash', "please', 'out', 'up' not much but its coming. There are a lot of times she gibbers and it sounds like something. We have thought we have heard 'kathie', 'be right back', 'more', 'sorry', 'ouch'. She understands alot so I am not worried about development. If I tell her directions, she does exactly what shes told, most of the time. As much as a toddler really listens. Ava turned 3 in September. Wow do we really have a 3 year old? I know I will probably be saying this every year but it amazes me how far more developed she is this year than last. And God Bless her 3s are a lot worse than 2s. Her attitude, understanding, stubborness, and all around character are much different than last year. She has a lot of good moments, she is starting to learn how to play games, we are reading books every day, she is learning her numbers, colors, and shapes. This year we welcomed another sister in law, Jamie, married Kennys brother. Along with her we received 2 nephews. Adyn and Brantlee. It is so much fun having boys to buy for and in the family. Adyn and Ava get along and fight as much as brother and sister. Their ages dont help matters either. A stubborn 3 and 5 year old. Love that our family is growing and since Jamie has moved here we have been able to get to know each other a little better and spend some time together. We also found out my other sister in law is expecting this spring in 2013. So there will be 6 little ones around this time next year for the holidays. My mother got married (4th and final time, fingers crossed). The man she married, I cannot refer to as a Step-Father, he's the girls "Pap". I dont like the term 'Step' with him. He's more than that. He isnt my father but hes so much more a part of the family. He helps my mother with the girls when they are there, he calls to check on them, he misses them, he is their grandparent. He is more of a grandparent marrying into the family than I think some biological grandparents are. He is involved in everything they do. If they are sick, he and Mom want to check on them, bring them what they need if I cant get out, and helps out anytime he can. Emily, my niece began Kindergarten. When she got old enough to be allowed to go to school is beyond me. I still see her as teh little itty girl that Jess brought home from the hospital. She is learnign so much, she is writing everything she can, she is learning songs, and shows us something new everytime we see her. We have had some lows this past summer into the fall. The lows are really not important compared to all the highs. The love of our family and the support of all our family members and friends around us make the lows obsolete. They dont make us who we are and they do not affect our daily lives. 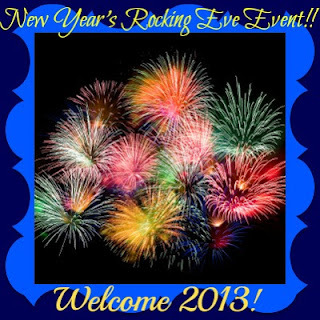 Waiting on 2013 and all the fun that it is to bring. As I said last year, resolutions really arent my thing, but I do have a few wishes for us and the girls. I wish for more time with their grandparents. Ava is understanding more and being taught things by their grandparents are important. Spending time with people other than Mom and Dad is important. Ava has always loved spending time with her grandparents and Hailey is beginning to enjoy it also. I wish for more date nights with my husband. Now that the girls are older and more independent, staying with family or friends for an evening will be easier so Kenny and I can make sure to focus on us a little. I wish for healthy and happy kids. I dont like them being stressed for reasons that are unnecessary. I dont like them being sick. I know I cant prevent these things but I can help by just being here for them. I wish for more time with their friends. Now that I am not a zombie because of no sleep with a little one. My toddler (god, she is a toddler, no longer a baby) is finally sleeping better. 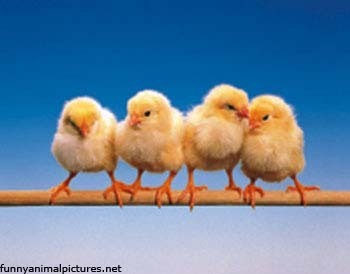 I cant wait until its warm out and the girls and their friends can play outside and mingle. I wish for more successful nights with Aunts and Grandparents and maybe beginning some sleep overs for Ava. My sisters and I spent the night with my nanny, Aunt Jenny, and Mamaw, we learned to go by others rules, sleep in others beds, and enjoy time away from our parents. Ava has been spending the night with my mom since she was 4 months old. Hailey is a horrible sleepover guest, waiting mommy so I hope she gets better. My nieces are old enough to stay here and let their parents enjoy a free night. A house full of kids is nice and love hearing the chatter, laughter, and arguing. I wish for success at my job. I was recently passed up for a grade raise, the hiring system is just confusing, no answers for why, and just weird. However I cannot let that get me down. I have to keep doing what I do best and keep my head up. I have always worked hard and I am not going to stop now. I wish for more family time and activities. I hope we go on more mini vacations, more activities for the girls to be busy on the weekends, and do more with our sisters/brothers and their families. 2013 is sure to keep us on our toes. "Are you looking for ways to supplement your family's income, but have children to take care of? Or perhaps you want to stay home with your kids, but still need to bring in a share of the household income? Perhaps you're even a single parent, and wish you could be available for your kids when they get home from school. 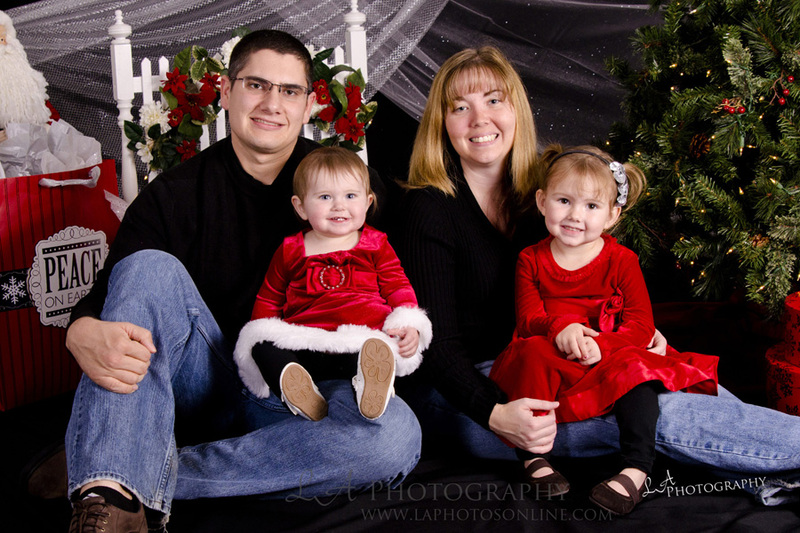 Carolyn Woods is a mom of 4 who's been the sole supporter of her family for the last 10+ years. This book includes developing goals, getting customers, and managing your family life so there's time for family and work. It also has proven home business models you can implement right away." 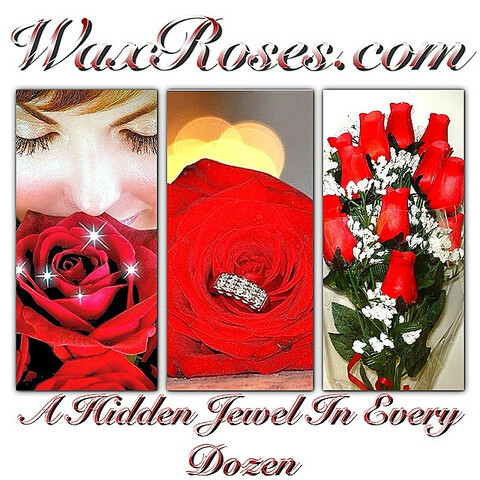 Each set of Wax Roses contain jewelry that is valued between $1000. and $7,500.00. 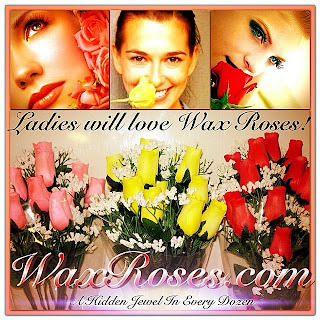 Wax Roses will be available after January 15, 2013 for $39.95 + shipping and handling at WaxRoses.com. 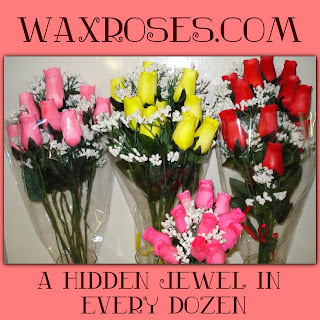 I would love to get these as a gift for Valentines Day! DISCLOSURE: My opinions are my own and may differ from yours. I have received no compensation for this post. I Dont Get Sundays is not responsible for prize shipment. Keurig Vue V700 Blogger Opp!! My Four Littles is thrilled to bring you a great blogger opp with products for mommies!!! Check out My Four Littles for the full prize list. If you don't wish to write your own announcement post, HERE is some text for you to use. Right now we're hoping to run the giveaway from January 14th to February 7th, 2013. We ask that you promote the giveaway at least three times a week. - Each blogger gets a free Facebook link and a free Twitter link with announcement post. - For $6 you may host a page (host pages will be first come first serve in the order of sign ups). The blogger that refers the most will receive free cohost (or refunded cohost if applicable). Use the form HERE to sign up. Thanks for participating! Get Git New Years Resolution Giveaway! This might just be the hardest fitness program ever put on DVD. Your personal trainer Shaun T will push you past your limits with 10 INSANITY workout discs packed with plyometric drills on top of nonstop intervals of strength, power, resistance, and ab and core training moves. No equipment or weights needed. Just the will to get the hardest body you’ve ever had. For your chance to win the Get Fit New Years Resolution Giveaway Simply enter via the Rafflecopter below. GOOD LUCK! So we finally got our puppy. We have been searching for months for a dog that would be a good fit for the family. The girls ages, we wanted a puppy but with Kenny's schedule I really wanted a little puppy that was already house broken. So we hit up petfinder.com and looked at what was available. We came acrossed Kathie and filled out an application. She was a part of "IOTAM Animal Rescue" out of Martinsburg, WV. Kathie was actually with a 'foster' family while recovering from her past situation. She is really the sweetest pup ever, letting Hailey climb all over her, Ava has be laying on her like a pillow, and she takes the noise, screaming, crying with stride. When she's outside and hears one of the girls upset, she is at the door barking to come in and make it all better. She has been here for almost a month and its like shes been here forever. Hailey feeding her crushed ice, they share everything and anything Hailey is eating. She lets the girls do just about anything to her. If she doesnt like it, she isnt mean about, she just moves out of the way or rolls over to get the off of her. She is getting so much love from all of us but especially from the girls. They let her out every morning, give her treats, make sure she knows she's loved, and before we leave the house she gets hugs and kisses and told that they love her. At night, they let her out, give her a bone, then tell her good night before she goes to her bed. Ava has taken over a lot of the duties, making her she has food, water, and shes let out. Its been a good thing at her age, to show her some responsibility. She is a spoiled pup already. She loves the girls plush princess couch. She uses it as a bed in the living room, napping and laying with the girls. Little does she know after Christmas that the girls will have new plush chairs from Santa and the couch will be all hers. So this past week at the sitter, our climber finally got the best of herself. She has been climbing like crazy. She wants on my kitchen table, couches, and on chairs. While at the sitters, she was standing on a flimzy, plastic kids stool and when she fell, the one leg cracked her in the eye. Christmas has always been a special day for us. Now that the kids are older, it is more fun and enjoyable. They are starting to understand how everything works. We have ourselves the Elf on a Shelf. Ava is trying to be good as much as she can for a 3 year old. I hope you have a great day and make lots of memories with your little ones. An Elf on the Shelf?!?! No Way!! So Ava is finally old enough that the Elf is making sense to her. At first she totally called my bluff and stated that she 'wanted Santa not the Elf'. So I put her away for a few days and soon Ava was asking for her to come back. That she needed to tell her something to tell Santa. So I brought her back a week before Christmas Day and since then she has been waking up every morning looking for her. SO when we went to a birthday party at the beginning of the month, Santa was there!! Yes my friend has some connections with the North Pole. This year Ava was excited to see him and told him what she wanted "a kitty kitty". Hailey wasnt really scared I would say, she just doesnt sit still for anyone. We put her on his lap and she slid right off ready to go. Since Alicia made this possible, we skipped the Mall Santa this year. 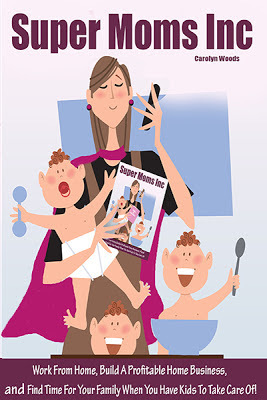 Find out what Messy Mama thinks about Linea in her REVIEW. 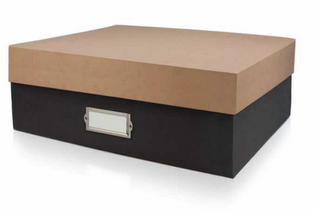 10 Lucky readers will each win a MosiacBook (rv $19.99-shown above) and LegacyBox (rv $54.99-shown below) from Linea! Enter by the RC Form below. Winners must be in the Continetal U.S. and must be 18+. Remember, you must have an iPad in order to print the MosiacBook. This is an awesome giveaway. 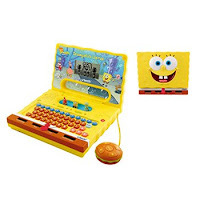 Come into the Krusty Krab for fun and thrills with the Spongebob Laptop from Vtech! This fabulous learning system provides 15 activities, covering words, numbers, games and more! It's styled with a fantastic Spongebob appearance and features three special mini games, vivid graphics and wacky sound effects. A black-and-white 3.75" LCD display (measured diagonally), realistic QWERTY keyboard and a cursor mouse makes it easy to use; it looks and works just like a real computer! Your child will experience excitement and independent play while learning with SpongeBob. Dimensions: 10.1"L x 8.2"W x 2.4"H. Weight: 2 lbs, 13.6 oz. Gotta love a movie night with the family! 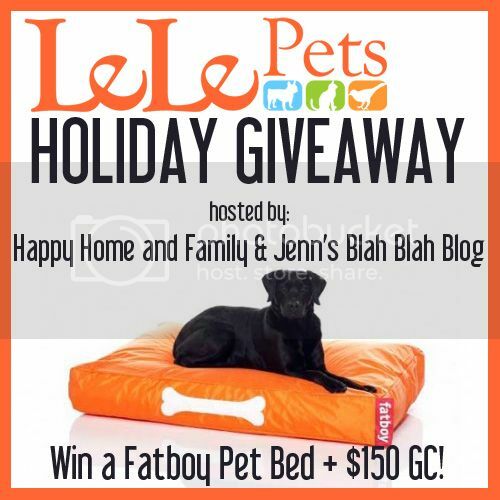 Join this giveaway to make it a special night curled up with the kiddos!! Want to make your baby shower memorable? eDiaperCakes is the perfect place to get the most memorable diaper cakes that will definitely be the talk of the party. Their high-quality diapers and handcrafted designs ensure that any mother-to-be is happy with their work. eDiaperCakes strive for perfection in every single gift they create. Their Diaper Cakes offer the best value on the market today. Each cake includes approximately 75 pampers Swaddlers diapers as well as a number of other practical gifts for parents. The cakes include socks, mittens, teethers, books, toys, bibs and much more. Everything is arranged beautifully on the cakes making them look adorable. Every Diaper Cake is created by hand by the eDiaperCakes team. They painstakingly craft all four tiers of the cake to ensure that it looks its best. Then they accessorize the cake and ship it out to you within two days or less. These cakes are ideal for baby showers and they can for the centerpiece of the celebration. The accessories and gifts used on these cakes are the highest of quality. eDiaperCakes does not include products that they wouldn't use on their own children and want you to be proud to present their Diaper Cakes at baby showers. Their cakes include practical gifts for parents as well as a cuddly toys that newborn babies will treasure as they get older. Some of the designs found on eDiaperCakes feature flower arrangements making them a perfect way to celebrate the birth of a baby girl. Others cakes feature cuddly stuffed dinosaurs for baby boys. There is also nuetral cakes as well, do-it-yourself cakes, and much more.